We have been using the traditional lighter for our lighting needs in our homes, from the romantic dinner setup with candles to the daily lighting of our stoves. Today, there is a new way to light up our things without an open exposure of flame, and this new gadget is an electric lighter. This item that is USB charged, uses clear and low-carbon electricity instead of the traditional butane gas, and is rechargeable. 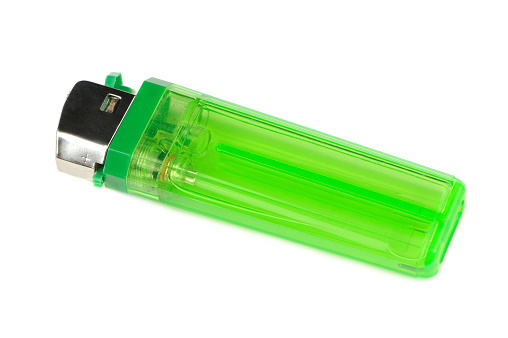 An example of this electric lighter would cost around $16. There are three main parts of an electric lighter , and these are the igniter, the gas valve and supply, and the clicking mechanism. The igniter is composed of a piezoelectric material and two metal bases. This piezoelectric material can produce a spike of voltage once bent, pressed or deformed. In the past, we have been using matches to light up things in our household needs. Although it does not cost us a lot to be buying matches over and over again, it is more convenient for us not to worry refilling fuels or having spare matches again. This is the idea of the new electric lighter. It only needs electricity to function and it can run its long lasting lithium-ion battery that is chargeable hundreds of times even before you need to replace it. So, this is how an electric USB lighter works. Instead of the usual spark or fuel that most lighters use, this item works by creating a small electrical arc in the middle of two electrodes that is ceramic. Note that even if the arc is smaller, it is very hot compared to an open flame. With this condition, it can light the wick of the candle faster and more efficiently. Also, this device does not use an open flame, and so even if the user is in an upside down position, there is no risk of getting burn. Since this new lighter uses electricity to ignite, it is a flameless gadget, and thus, this is now the new way of creating a flame. Imagine the electricity that jumps between the two electrode conductors at the tip of the lighter called an electric arc. The brilliant arc that you see produces the high heat that came from the air that was ionized by the electrodes. Do not underestimate the small arc because it is much hotter than an open flame, and with this its ability to light wicks faster and at any angle even completely vertically. The electric lighter features a flame-proof ceramic tip with a cover made of zinc alloy and a body made of plastic. Its heat is contained at the tip and thus no sooty mark is left behind.